» What? A Tuesday that was better than a Monday? What? A Tuesday that was better than a Monday? If you know our typical pattern Tuesdays seem to be bad days..not so this week. Monday was really tough but today has been much better. Only 1 seizure and not until 8 o’clock tonight. We talked to G’s doctors and they added caritine (another pill) …it is something that naturally occurs in the body and is necessary for fat to be metabolized for energy. The hope is for it grab every little fat Gabriel is ingesting and get it to his brain to stop the seizures! 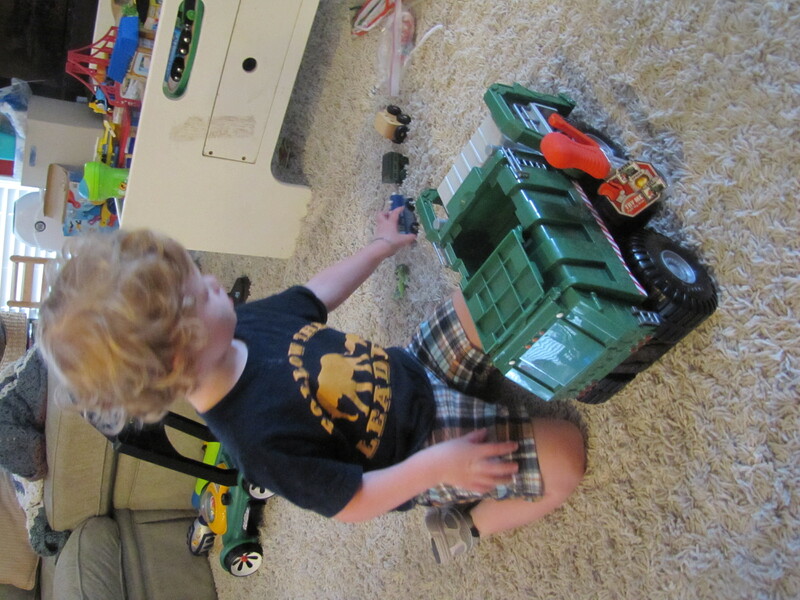 I was able to use a ToysRus gift card, that mysteriously showed up in the mail a couple months ago, to surprise Gabriel with his own garbage truck! HE LOVES it! He played with it for hours today. 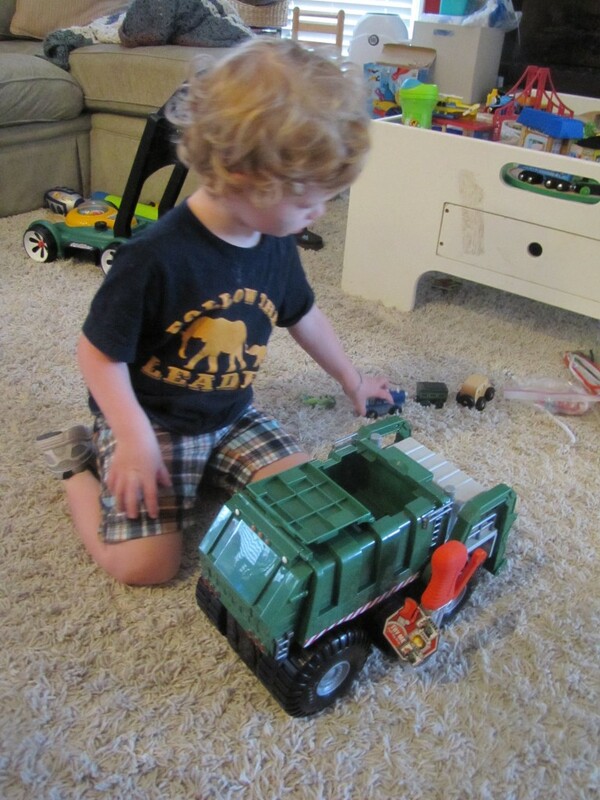 Before bed he made a point of stating, “My new truck, not go bye bye”. We assured him it will be here to play with in the morning. We are praising God for a better day today. Again, I find myself welling up with tears of thanksgiving for the amazing people in our lives who offer prayers, make phone calls, schedule playdates and just in general support our weary souls. God is using you to carry us through.